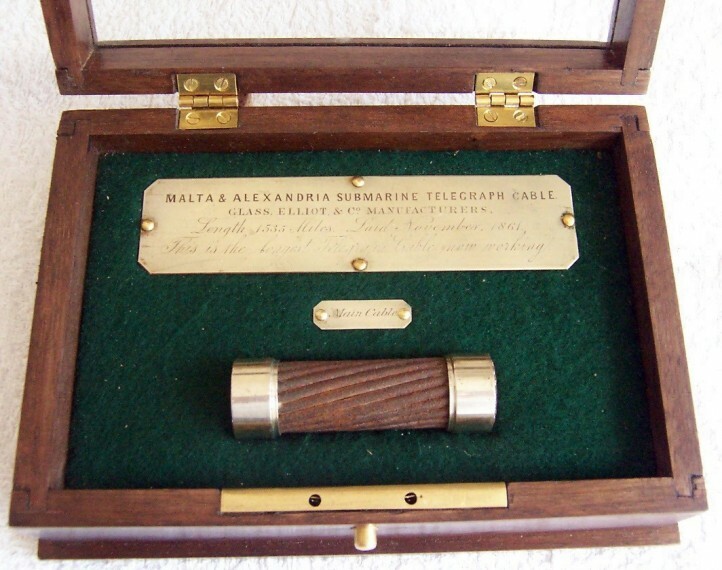 Sample of the 1861 main cable joining Malta and Alexandria, manufactured by Glass, Elliot and Co. It was the longest operating cable at that time, having failed the 1858 transatlantic cable. See SU-012. Box not original.